Sean Izzard, represented by Pool Collective, was commissioned to capture imagery of colorful new soda cans for the #ColorYourSummer initiative, Coca-Cola’s largest marketing push since the Share A Coke campaign. As part of this historic brand shift, Coca-Cola changed up the classic red color of their cans to a brighter, more colorful set. 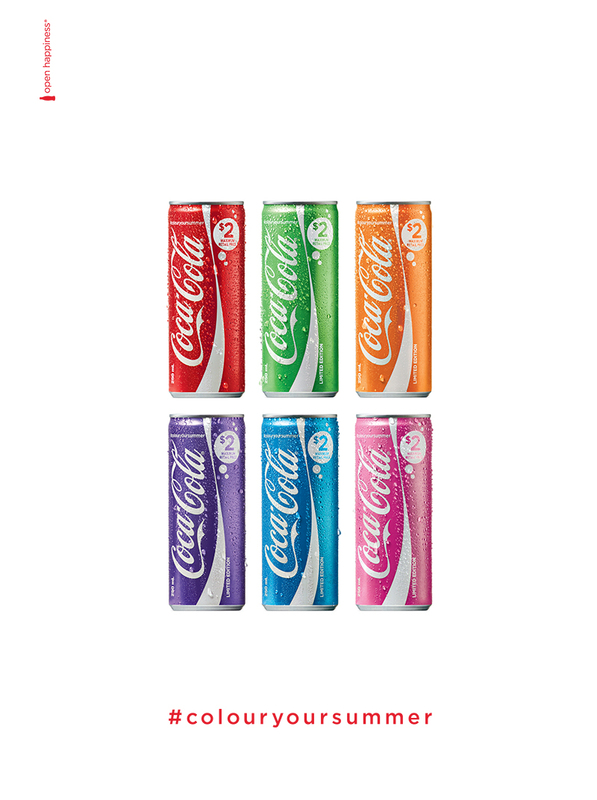 Pink, purple, blue, green and orange cans were released in stores at the start of November, with more to be continually released in time for summer. Sean worked alongside Boris Garelja, Creative Director, Brett Terblanche, Art Director, and Sonia Ebrington, Senior Production Manager.